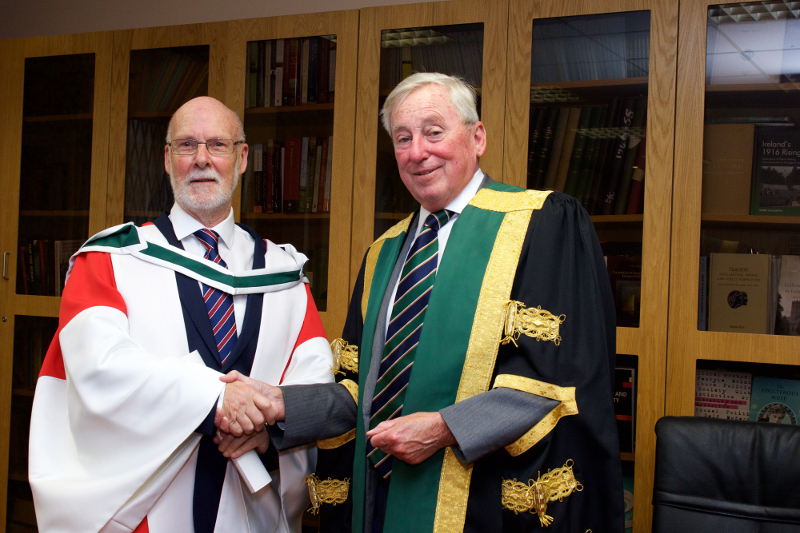 NUI Chancellor Dr Maurice Manning today conferred the degree of Doctor of Literature (DLitt) on Published Work on journalist, trade unionist and historian, Pádraig Yeates. 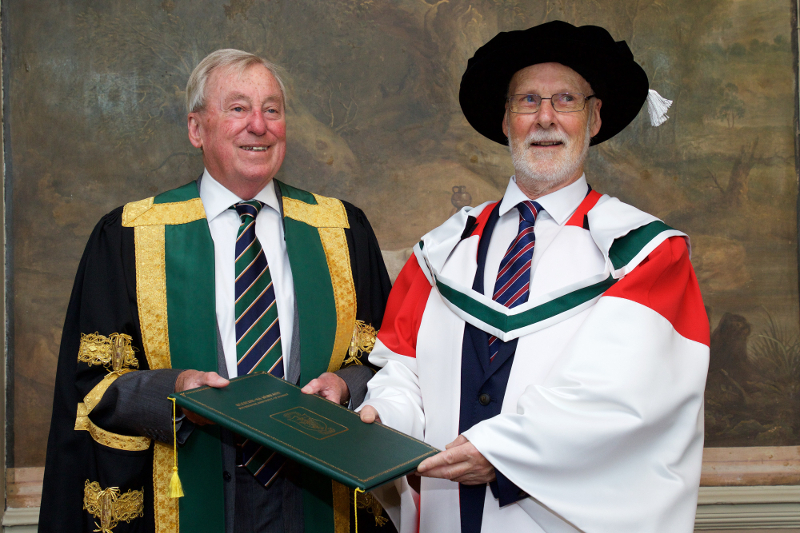 The degree was conferred at a ceremony in the National University of Ireland, 49 Merrion Square. 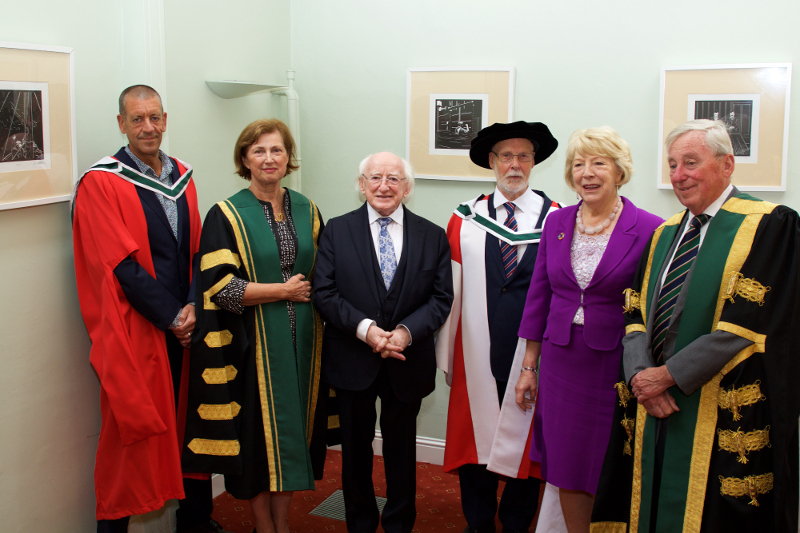 President of Ireland Michael D. Higgins and Sabina Higgins were guests of honour at the conferring ceremony. 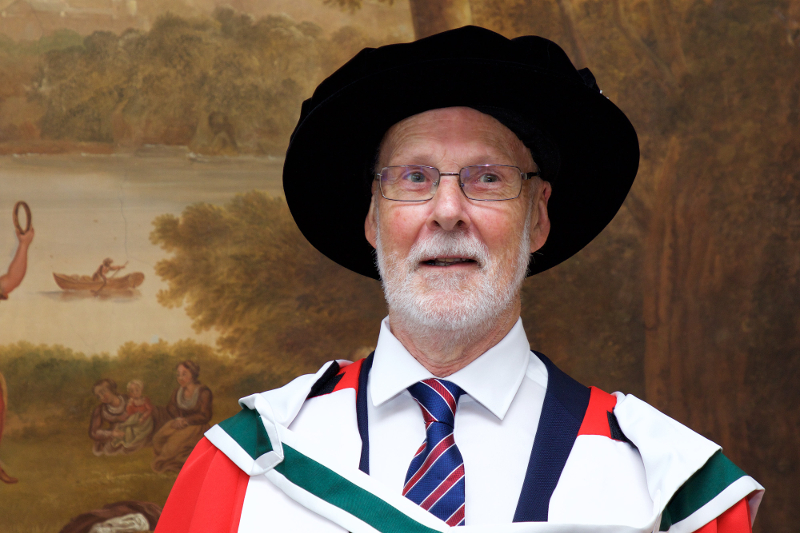 As a historian, Pádraig Yeates has conducted extensive research on the first three decades of twentieth century Ireland and has published a substantial and influential body of work on the period. His first book Lockout: Dublin 1913 published in 2000 by Gill and Macmillan, the first major historical study of that conflict, received critical acclaim. 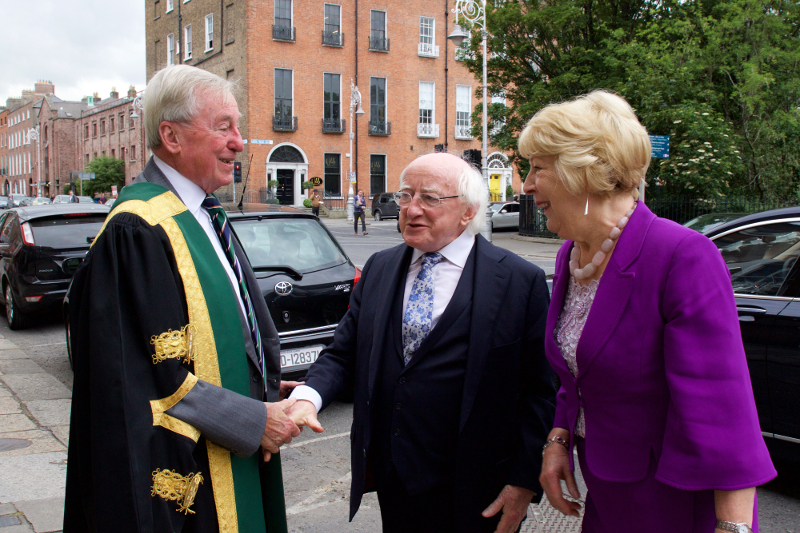 It has been followed by a number of other significant works on the social, cultural and trade union history of Dublin. 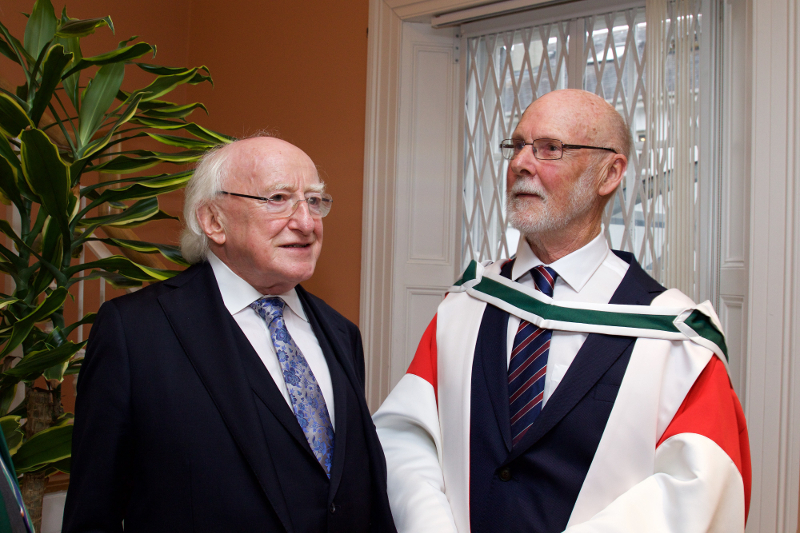 His books, A City in Wartime: Dublin, 1914-1918 (2011), A City in Turmoil: Dublin, 1919-1921 (2012), and A City in Civil War: Dublin, 1921-1924 (2015), along with many other publications and articles, have provided a valuable and enduring contribution to scholarship on the history of Dublin, and the history of Ireland as a whole. 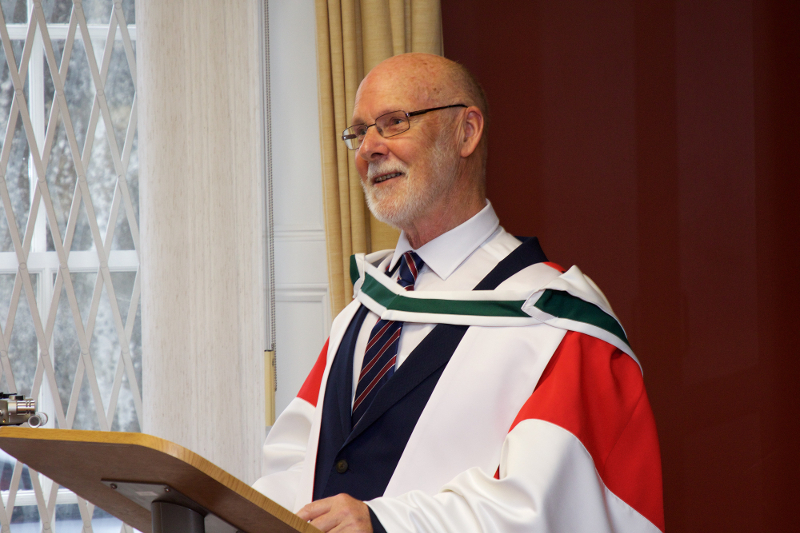 Introducing Pádraig Yeates for the degree, Professor Diarmuid Ferriter, University College Dublin, commented on his “exceptional commitment to the research and writing of Irish social and labour history”. 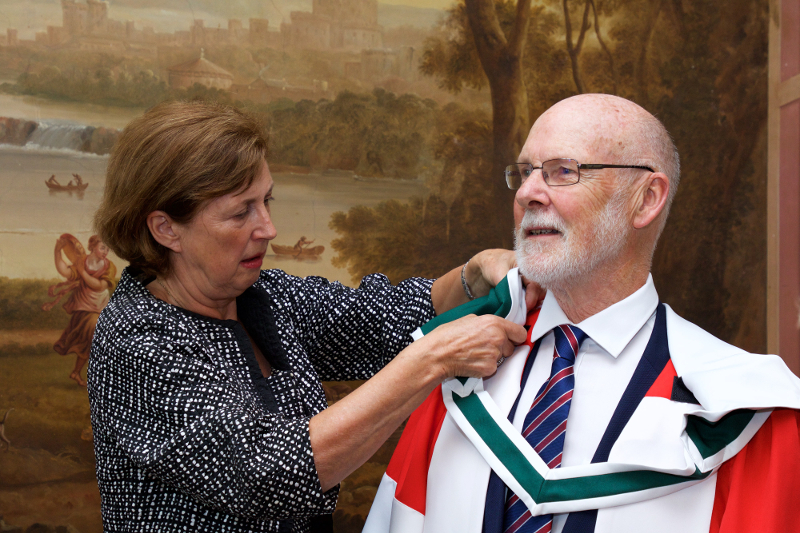 He went on to say that “as a journalist, political and trade union activist and historian over decades, he has very much occupied the public realm and is passionate in his views…Pádraig continues to play an indispensable role in the decade of commemorations we currently inhabit…. 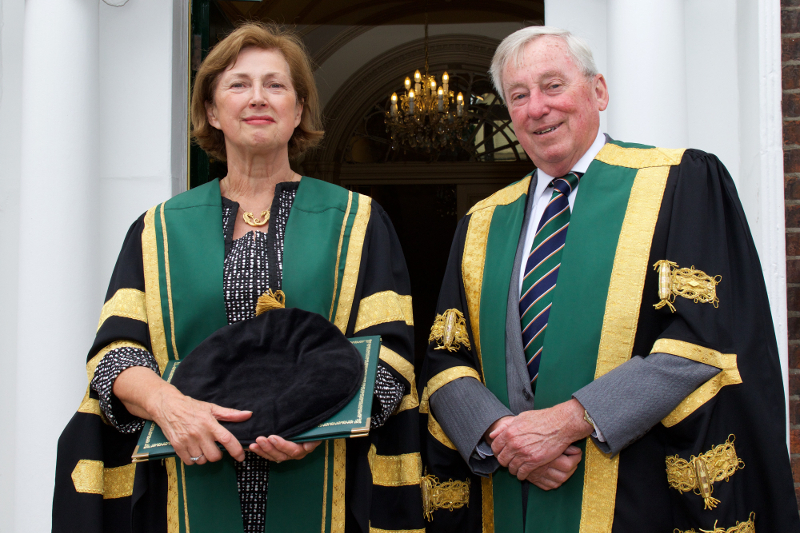 anyone with an interest in our social and labour history owes him deep gratitude and respect”. 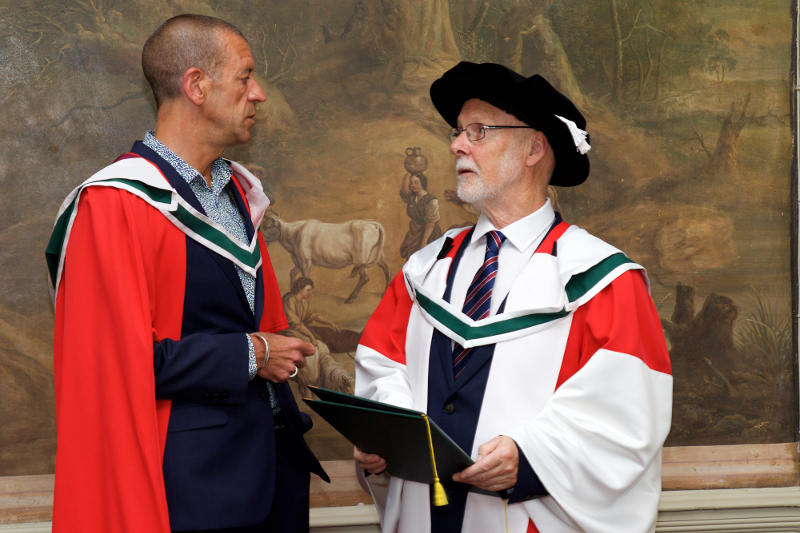 Degrees on Published Work awarded by the National University of Ireland are higher doctorates and are the highest qualifications awarded by the University. 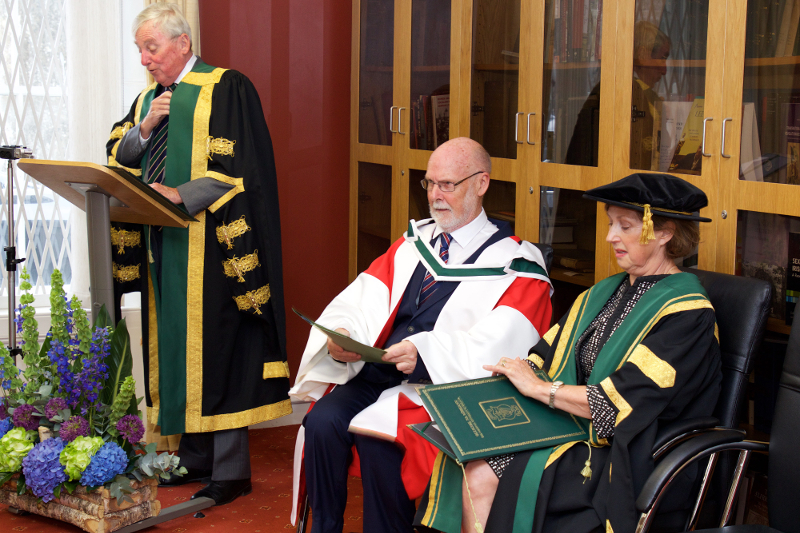 They are awarded to scholars who have, over a sustained period, published a substantial body of ground-breaking and influential work in a field of specialisation and who have achieved outstanding distinction internationally in that field. The work published will usually consist of articles in leading international peer-reviewed scholarly journals and/or books published by leading academic publishers and distributed internationally. 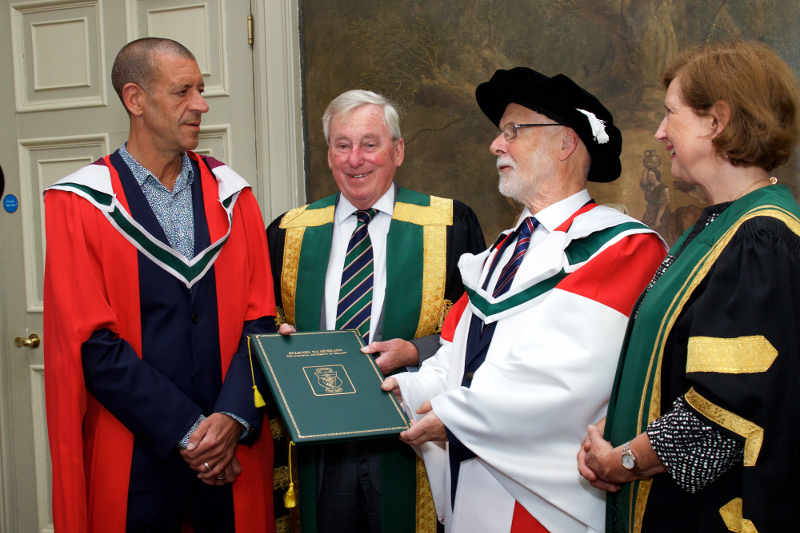 Citation Delivered by Diarmaid Ferriter. 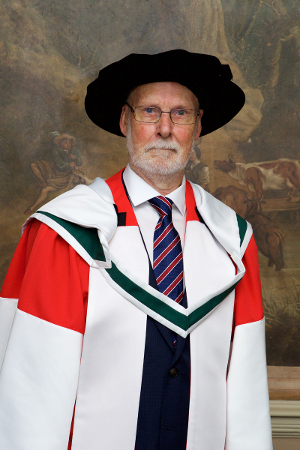 Address Given by Dr Pádraig Yeates.